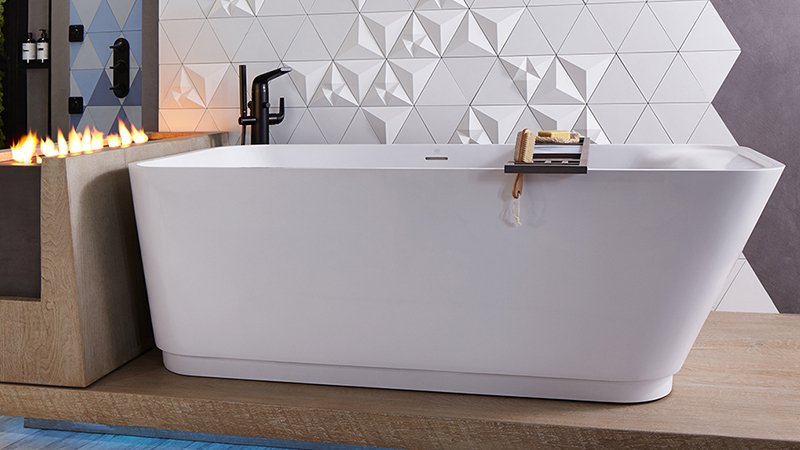 DXV fixtures and fittings do not merely reproduce styles from each era; rather they are inspired by historically significant designs, reinterpreting them in light of today’s aesthetic and performance demands. Each of the DXV movements includes one or two bath-fixture suites and complementary faucet collections. The portfolio also includes a collection of kitchen sinks and fittings, as well as the AT Series, a state-of-the-art smart toilet and bidet seat that perform as superbly as they look.